New cast members have been announced as joining Jim Broadbent in the world premiere of A Very Very Very Dark Matter at the Bridge Theatre in London. 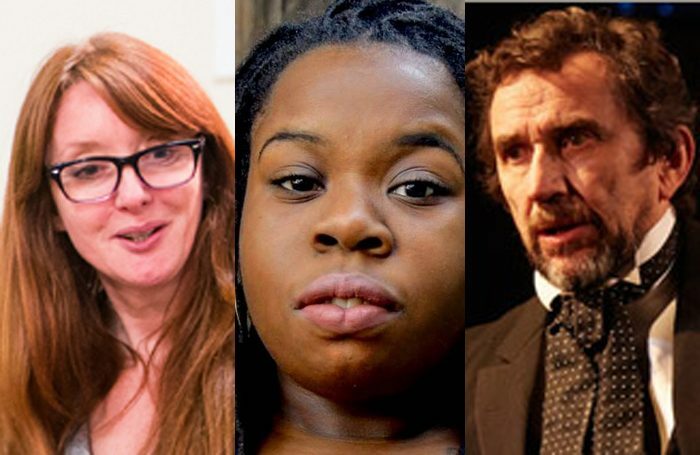 Elizabeth Berrington, whose credits include Sky1’s Patrick Melrose and Waterloo Road, and Phil Daniels, who recently starred in the UK tour of Dr Jekyll and Mr Hyde, will appear in the new Martin McDonagh play. Johnetta Eula’Mae Ackles is also joining the cast, making her professional debut. Directed by Matthew Dunster, the play explores the life of Hans Christian Anderson with design by Anna Fleischle, lighting by Philip Gladwell and sound by George Dennis this production. Previews start from October 12 with its opening night on October 24. It is a 12-week run ending on January 6, with further casting to be announced. It is produced by the London Theatre Company.